I’m back in the HR-V after a three-week break while I was away in Australia. Like every Honda I have driven, indeed owned, it’s dead easy getting back into the groove. Hondas are so easy to drive, still with probably the slickest manual gearchange you’ll find anywhere. I had a bit of spare time yesterday, so I got out my Samsung phone’s USB charging lead, plugged it into the Honda’s port and waited to connect it into the system. Nothing. Seems like they are incompatible, though I can’t imagine why. Android phones have been around for years now and this is supposed to plug me into a whole new world of Honda apps. Like so much in the car business when it comes to driver-car interface electronics, there’s a void between what the manufacturer promises and what actually occurs. 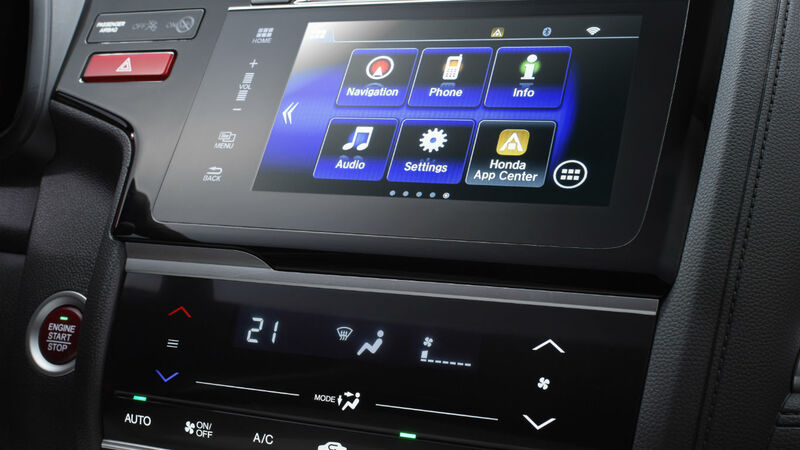 I am guessing here, but I bet that Honda was as pleased as punch with its button-free navigation/music/phone system in the HR-V. Yet it is so maddeningly complicated to work, requiring you to take your eyes off the road several times in order to hit the right area of the touch screen to do, well, almost anything. It may seem churlish to touch on Honda’s dismal 2015 F1 experience with McLaren, but I sense there is a parallel here. Honda develops things in a vacuum, rather than calling in outside expertise. A few focus groups and the company would have been painfully aware of the problems with its in-car entertainment system. Enough of that. It was only a bit more than a decade ago that Honda didn’t have a diesel engine to its name, before hitting the ground running with the brilliant 2.2-litre unit in the Accord. This much newer 1.6 turbodiesel is similarly impressive. The performance is entirely in keeping with the car, punchy and relaxed at all times. But it is the economy that has been astounding me. This morning on my sub-30mph, 12-mile urban drive to the office it averaged 62mpg. And yes, I have checked the trip computer and it’s very accurate. Economy never drops below 53mpg. Compare that with our Kia Sportage, which will struggle to reach 30mpg on the same run (though it does have an automatic transmission and four-wheel drive). 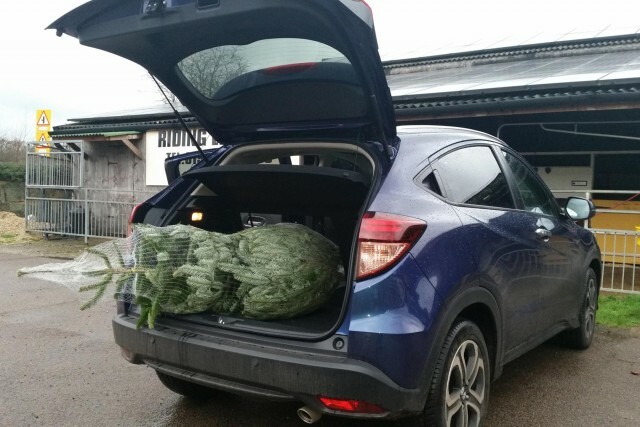 And the HR-V, although it is notionally half-a-class smaller than cars like the Sportage, does exceptionally well for passenger and cargo space. Honda’s ‘Magic’ rear seat is still the cleverest of inventions. The rear cushion lifts up against the backrest so tall things can be stored upright, or the backrest and cushion fold forward in one action to give a big, deep boot floor. Just before Christmas and still inclemently warm weather. I wait with baited breath to see if, eventually, the HR-V will be caught out when it finally does snow. There’s no four-wheel-drive option in the UK, you see. Savage new Audi R8 must take on the Porsche 911, Mercedes-Benz AMG GT and McLaren 570S. 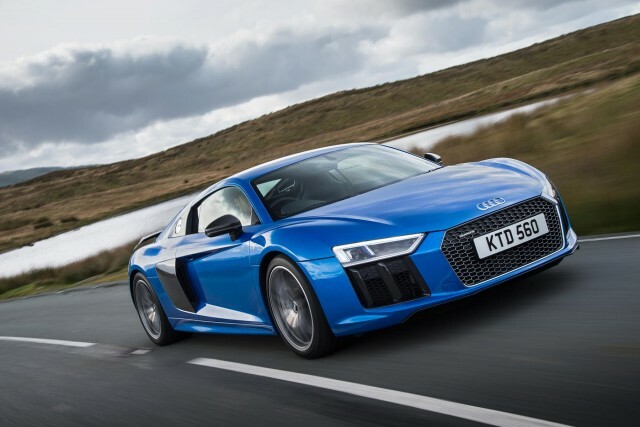 Audi likes to refer to the R8 is its ‘hero car’. It’s the range topper that stops people in their tracks, and helps convince them that an Audi is the car for them, even if they end up buying an A3. This second generation car is genuinely all-new. There’s an aluminium chassis, as before, but this time the alloy is abutted with structural carbon fibre sections that help bring the weight down. Power is from a revised 5.2-litre V10, with either 540hp, or 610hp in the R8 V10 Plus. 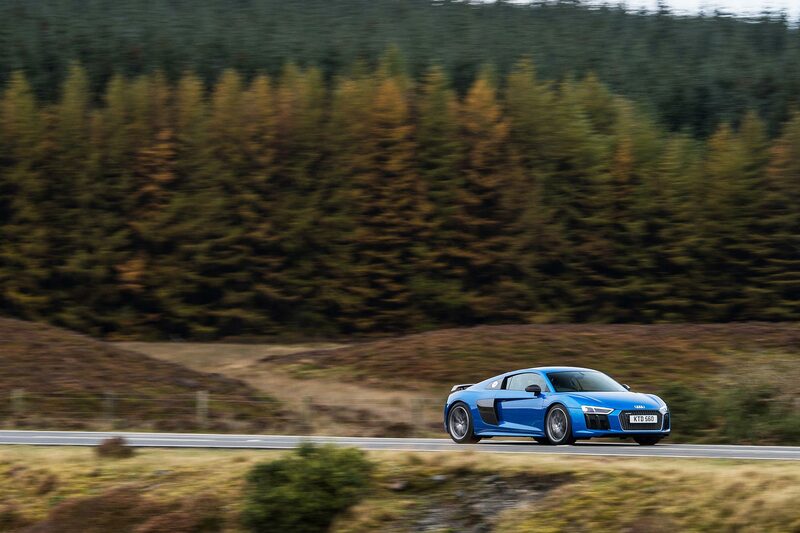 The 4.2 V8 of the earlier R8s has gone, but there will be an all-electric version in the future. The R8 e-tron promises a range of up to 280 miles with performance close to that of the V10. There’s more than a notional link to Lamborghini’s recent £180,000 Huracan here; the V10 engine is all-but identical. Which means, surely, that with the technology Audi throws at the R8, it has to be at least as good, doesn’t it? 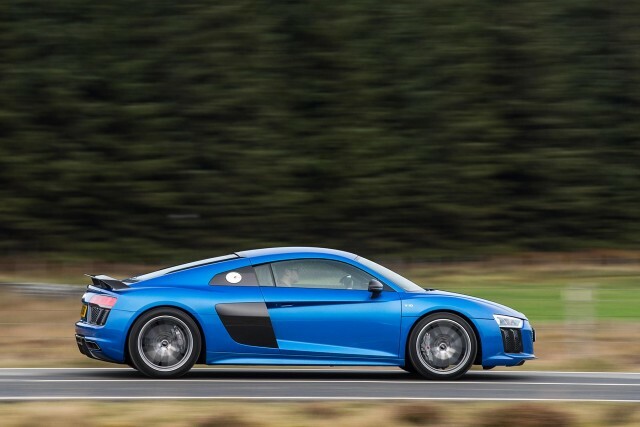 And for a full-blooded supercar, the R8 seems pretty fair value. 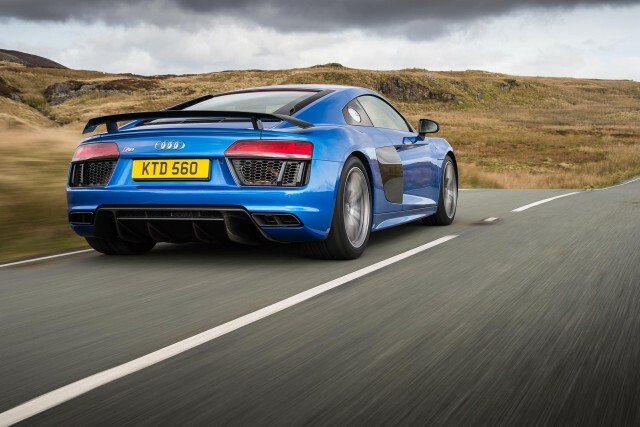 The V10 is £119,500, the V10 Plus, with its extra power, large fixed rear wing and ceramic brakes, £134,500. Obviously, being an Audi, you still have to pay extra for things that are standard on a £10k Kia, like cruise control or an ashtray. Some things never change. Forget the performance figures for the moment, and consider this. 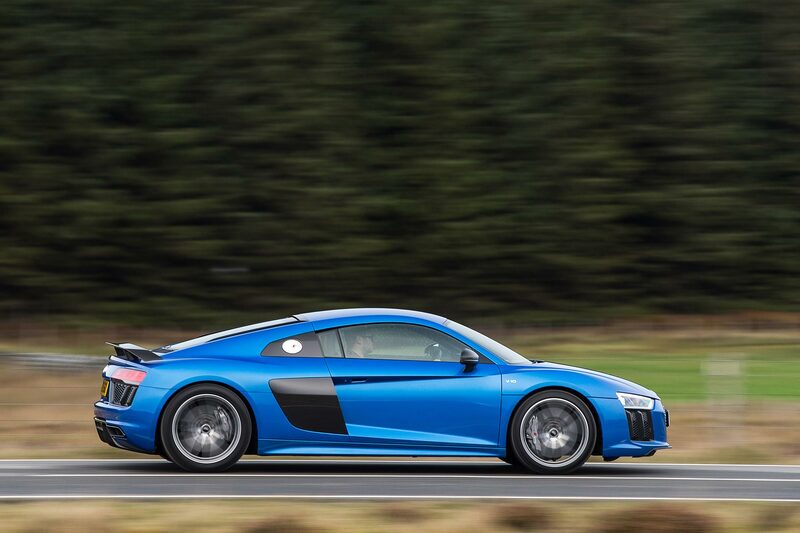 The R8 is one of the last remaining mid-engined supercars that is neither turbocharged nor supercharged. 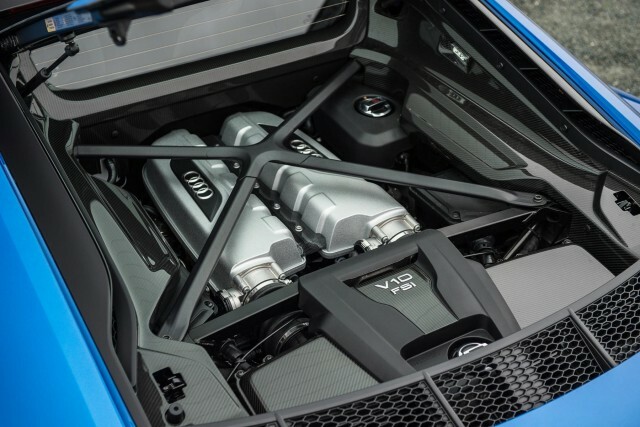 That’s important, because naturally aspirated cars sound better, and the R8 V10 Plus sounds simply gorgeous. It’s a benign tourer when you need it, burbling along, the gears shifting smoothly with a delightful variation in sound levels to accompany each change. Then, with the oh-so-necessary sports exhaust system, you can switch into crackle-and-pop mode for extra aural fun. All of this can take place at sane driving speeds, which is great when you can’t make use of the acceleration to 62mph of 3.2 seconds, or the 205mph top speed. But stick the shift lever into Sport, select Dynamic on the steering wheel button, and all hell breaks loose. The first time you floor the throttle could even be alarming. There’s a short but perceptible pause, while the transmission decides it needs to shift down two, three, even four gears, then a wall of noise and acceleration as the R8 lunges forward towards the horizon. It’s not quite the civilised approach we were expecting from this Audi. 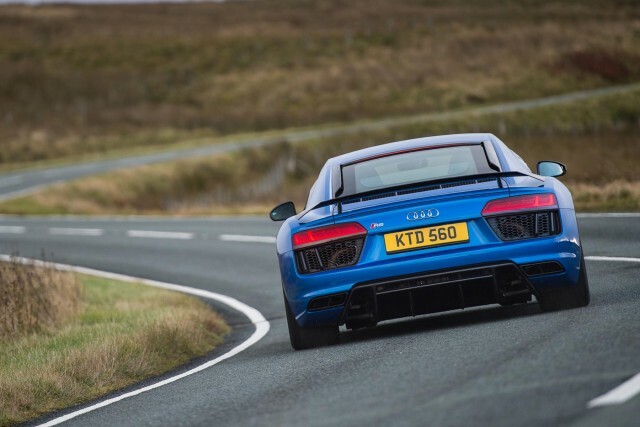 The better way is to treat the R8 with a bit more respect, feed the throttle in less dramatically and then enjoy what is a still a very rapid machine. There’s much to play with, control-wise, too, with settings for comfort and dynamic driving modes, plus an extra Performance setting on the V10 Plus. These change the parameters for steering, transmission, exhaust flaps and more. My major quibble is with the paddle shifts. They are so seductive to use that, even in auto, it’s nice to slip down a gear or two as you approach a roundabout or tight bend. Trouble is, it’s then stuck in manual mode forever more, unless you knock it back to auto. Cheaper Audis do this for you. I much prefer that logic. 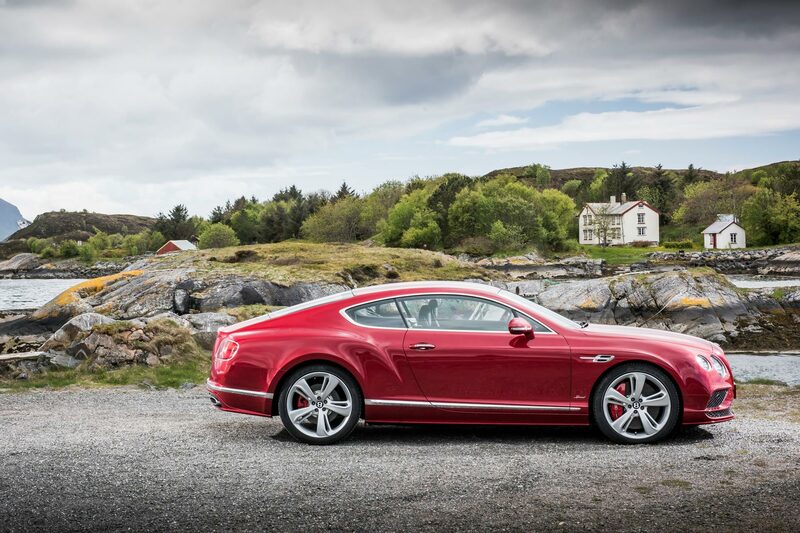 Should you choose, you can appear like a Le Mans star and your passenger won’t even notice. 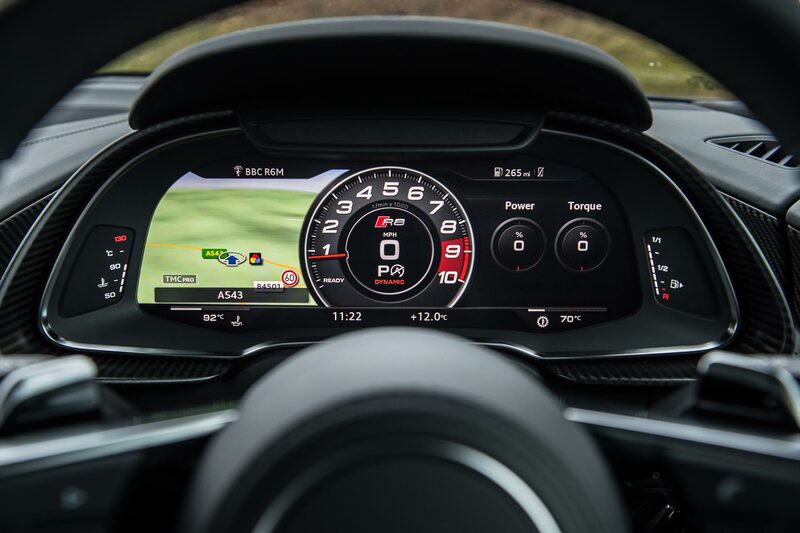 Stick the R8 into Sport mode and the automatic transmission quick-shifts up and down the gears with a professional sounding blip of the throttle that makes you look like a pro. Quattro four-wheel-drive makes the R8 feel very sure-footed on the most rain-drenched roads, and it’s now more sophisticated than ever, with variable torque control to the wheels. There’s electric power steering too, yet this shed-load of electronics does nothing to lessen the driving enjoyment. It’s safe, approachable and very entertaining. 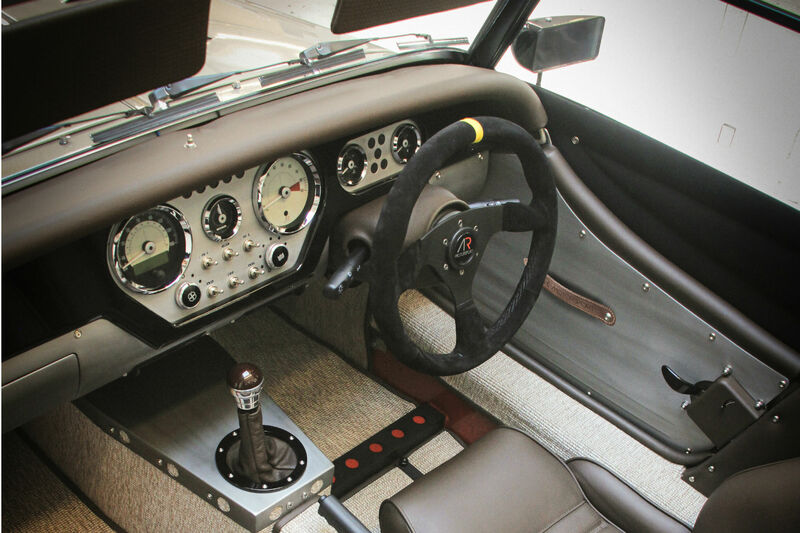 Supercar interiors need a couple of key ingredients. Bespoke fittings and a great deal of drama. Porsche doesn’t crack it with the 911 (no drama) and neither did Mercedes with the SLS (too many parts from the B-Class). The Audi R8 is nearly there, though. 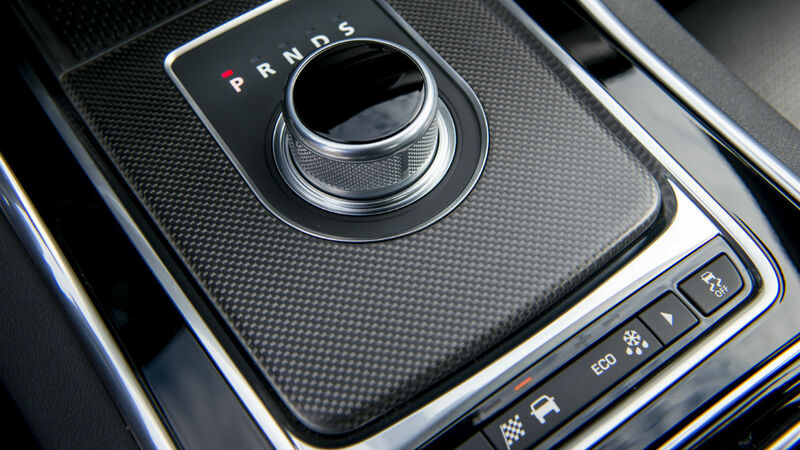 It’s modern, classy and interesting, with a myriad of buttons and controls – with an extra dose on the special flat-bottomed steering wheel that’s fitted to the V10 Plus. It compares very favourably with the well-worn tradition of the 911, even though this is still very obviously an Audi interior. The ‘virtual cockpit’ that first saw the light of day in the latest TT is fitted here as standard, and what a delightful piece of technology this is. 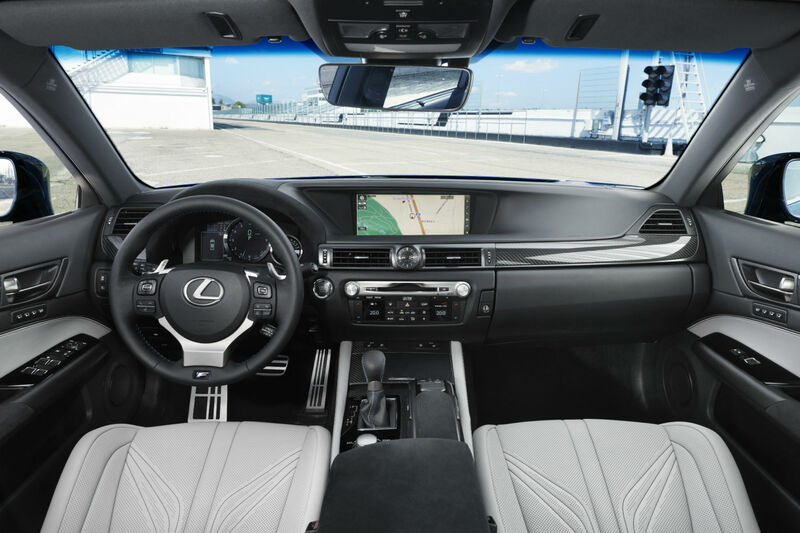 Scrolling between a variety of liquid-crystal display screens is easy, with a fantabulous map display one of the options placed right in front of the driver. 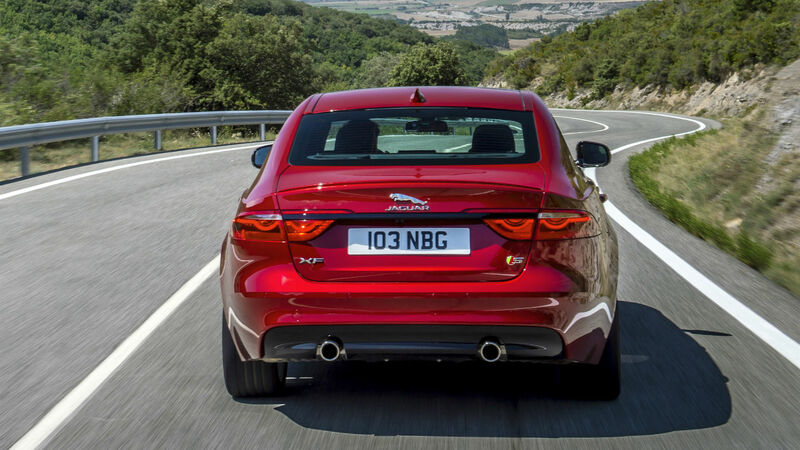 The test cars were fitted with the sports seat option, heavily bucketed and very firm, perfect for the racetrack but possibly too unyielding for everyday use. It’s a surprise that seat adjustment is largely manual rather than electric, although it’s easy and saves much weight and cost. 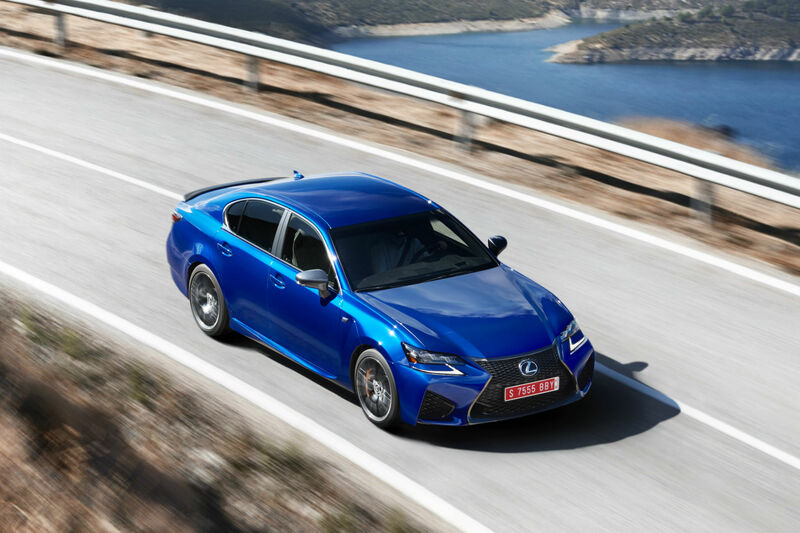 Another option is the magnetic suspension, an intelligent way to adjust the dampers almost instantaneously, to give a comfortable ride when you want it, but much firmer suspension when you are driving quickly. This technology is well established in Audis and seemingly gives you the best of every world. At night there are LED headlights and tail-lights, with the option of laser main beams. Think you don’t need lasers for your headlights? You might change your mind once you driven behind these monsters. Supercars with credibility hold their value pretty well, or at least that’s what the industry would have us believe. 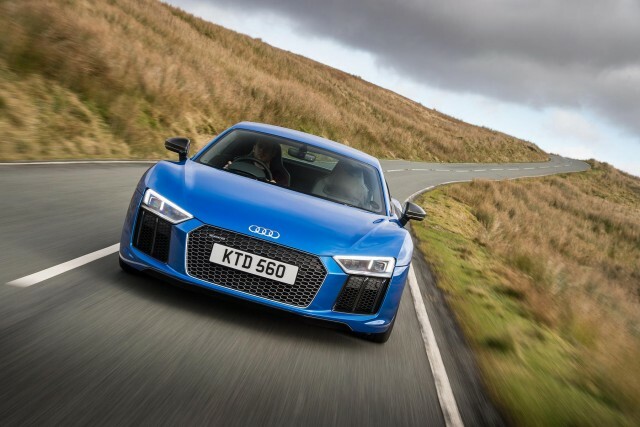 Audi has some independent predictions that show the new R8 will be a touch better than its rivals, although even then you could end up losing £75,000 on the highly optioned £154k V10 Plus we were driving. The lower weight, engine revisions – one bank of cylinders will close down in certain circumstances to save fuel – and freewheeling mode, cut the CO2 by 12% and improve economy by one to three mpg. You are still going to find it hard to better 20mpg much of the time, though. Everything adds up. The Audi R8 V10 Plus takes the style of the original then toughens up its stance and attitude. It’s devastatingly fast, reassuringly secure, and as easy to drive as your Audi company car. If you are bored by the Porsche 911, it is the obvious default choice. And yet. If you are the sort of person who chooses an Illy coffee machine over the ubiquitous Nespresso, or a Maserati Ghibli over an Audi A6 or BMW 5 Series, you will look at the competition and, maybe, come up with an alternative. The new McLaren 570S, the Mercedes AMG GT , and even the venerable Aston Martin V12 Vantage all offer thrills in more edgy packages at a similar price. We’d find the decision very hard indeed. 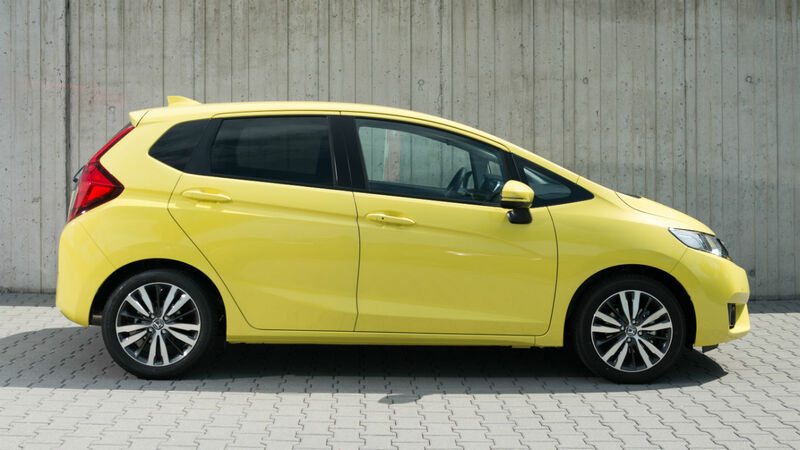 Honda Jazz: What is it? 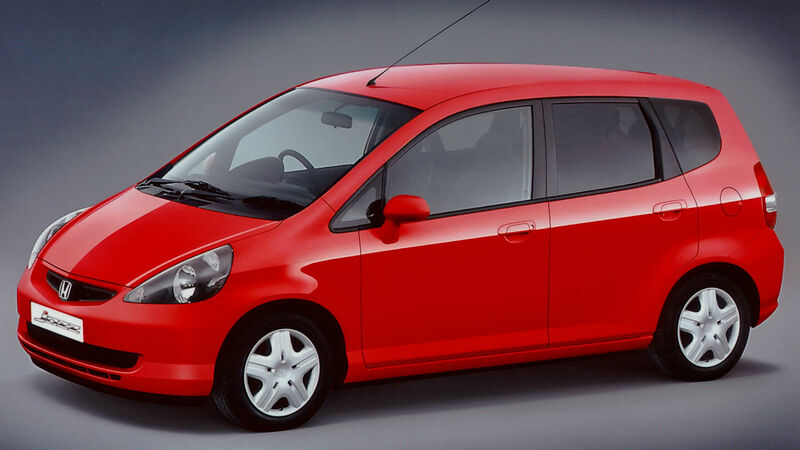 The Honda Jazz has always been more mini-MPV than traditional supermini. This third-generation car, launched in 2015, doesn’t mess with a highly successful formula. Its ‘one-box’ shape equates to class-leading interior space and versatility. 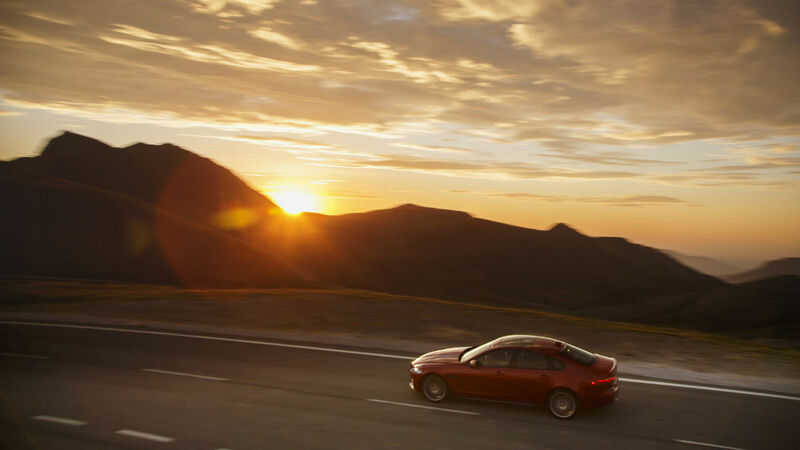 And you can expect outstanding reliability, too – past versions are among the most dependable cars on the road. 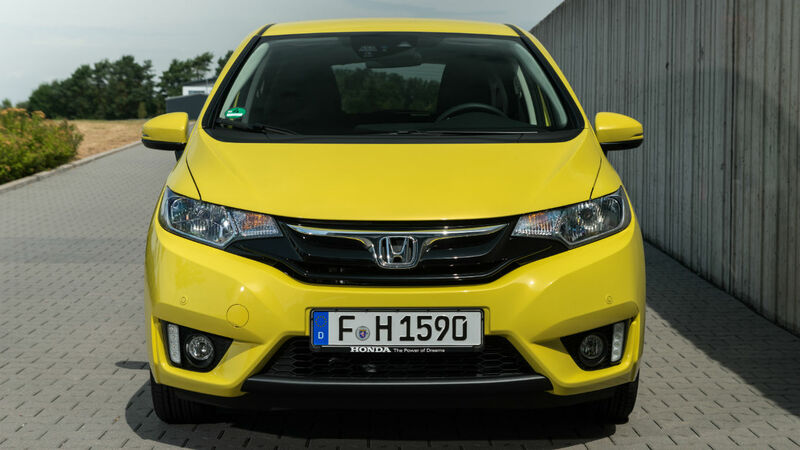 Honda Jazz: What are its rivals? The bestselling car in this class (and, indeed, the UK’s bestseller overall) is the Ford Fiesta. It’s more fun to drive than the Jazz, but nowhere near as practical. The Skoda Fabia and Toyota Yaris are perhaps a better fit for buyers interested in sensible, value-for-money motoring. Unlike the Honda, the Toyota is available as a petrol/electric hybrid (the Jazz Hybrid has been discontinued). 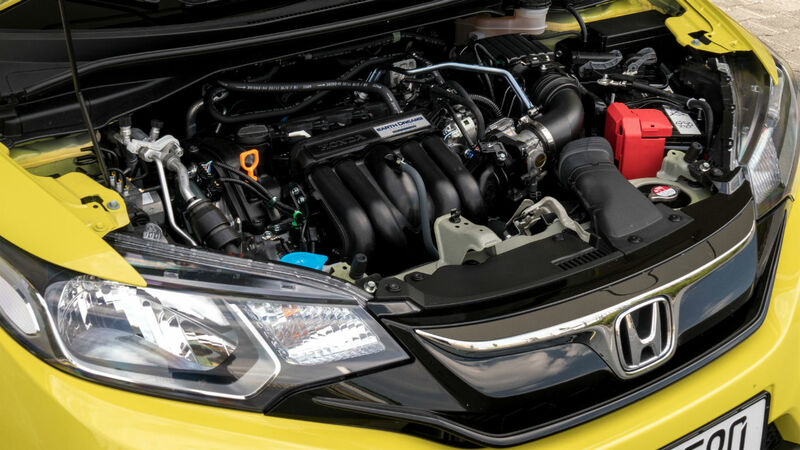 Honda Jazz: Which engines does it use? 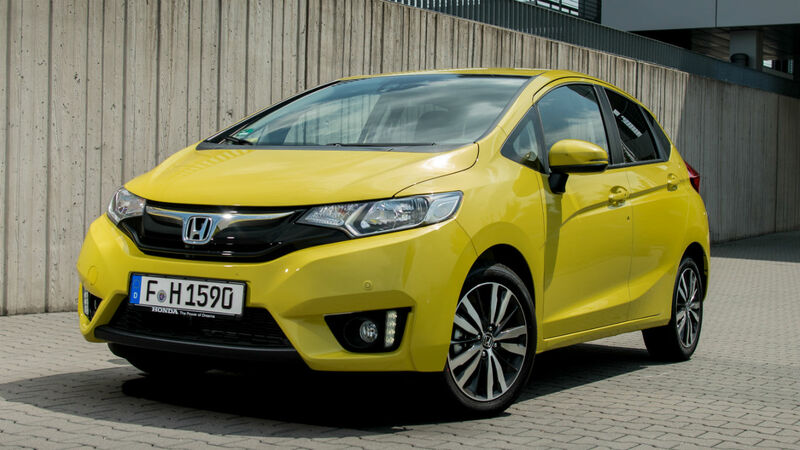 The Hybrid is no more and Honda has never offered a Jazz with a diesel engine. 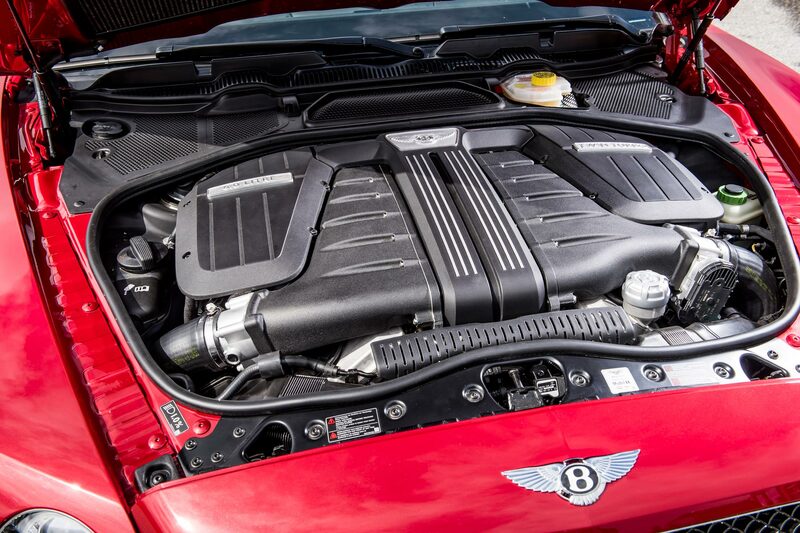 So your choice is limited to a 102hp 1.3-litre petrol engine. Yep, just the one. It propels the Jazz to 62mph in 11.2 seconds, or 12.0 seconds if you opt for the CVT automatic gearbox (more on that shortly). Honda’s i-VTEC variable valve timing boosts performance higher up the rev range, without the pronounced ‘step’ in power delivery that characterised VTEC engines of old. Honda Jazz: What’s it like to drive? The Jazz isn’t a particularly fun car to drive, but it’s far from unpleasant. The controls are light and the boxy shape offers good visibility for parking. Ride comfort is noticeably better than the old Jazz, too. Its 1.3-litre engine is adequate around town, but feels a bit breathless on the open road. That feeling is exacerbated by the CVT auto gearbox fitted to our test car, which holds the engine at constant revs when you accelerate. 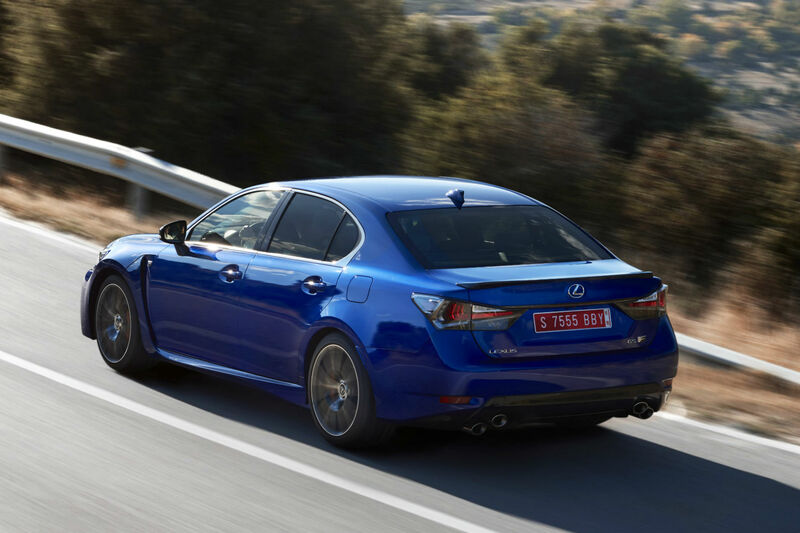 It make for rather noisy and lethargic progress – opt for the six-speed manual if you can. The CVT gearbox may blunt performance, but it has a positive effect on fuel economy. The basic S model returns 56.5mpg with a manual ’box and 61.4mpg with the CVT. Likewise, CO2 emissions are 116g/km or 106g/km, which equates to annual car tax (VED) of £30 and £20 respectively. 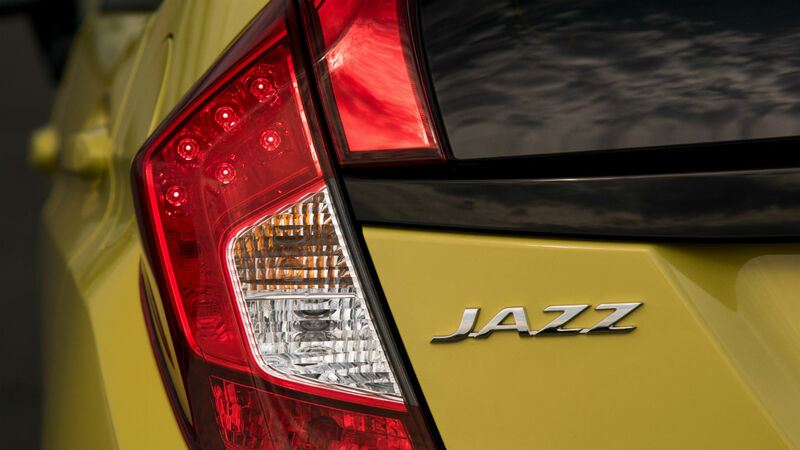 The Jazz is cheap to insure and its famed reliability should mean low maintenance bills. 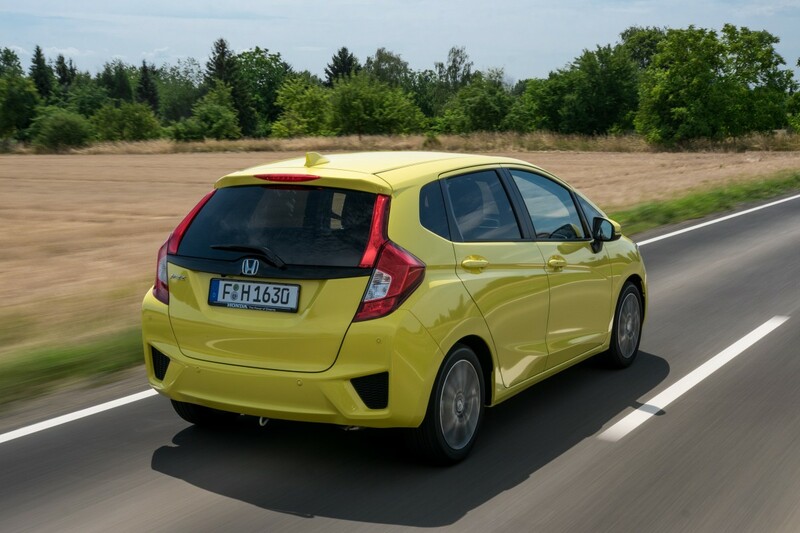 Honda Jazz: Is it practical? Oh yes. It’s apt that the photo above looks like a huge black hole, because this car will swallow almost anything. With the rear seats in place, boot capacity is 354 litres – about the same as a Volkswagen Golf (a car from the class above). Fold the seats flat and that expands to a whopping 1,314 litres. A Ford Fiesta manages just 914 litres. 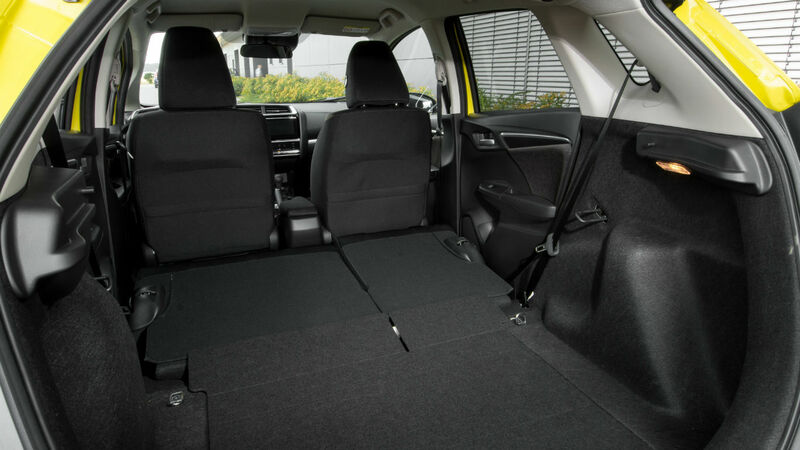 The Jazz also has Honda’s brilliant ‘Magic’ rear seats, with flip-up bases that create a floor-to-ceiling loadspace. Honda Jazz: What about safety? The latest Jazz hasn’t been subjected to Euro NCAP’s crash tests yet, although the old car scored a maximum five stars. An automatic emergency braking system is now standard, and all cars apart from the entry-level S come with the Driver Assist Safety Pack. This includes a lane-departure warning system, traffic-sign recognition and automatic high-beam headlights. The latter were quick to react and very effective on dark country lanes. 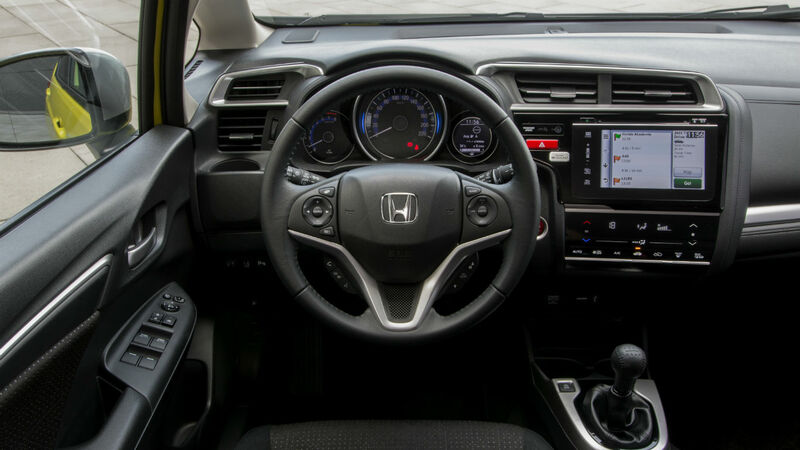 However, we’d put a black mark against the new touchscreen media system; its clunky menus force you to take your eyes off the road. Honda Jazz: Which version should I go for? There’s no choice of engines, but we’d avoid the sluggish (and £1,100 extra) CVT gearbox – especially if you drive mostly outside urban areas. Trim levels start at S (£13,495 with a manual gearbox), then rise through SE (£14,595), SE Navi (£15,205), EX (£15,715) and EX Navi (£16,325). 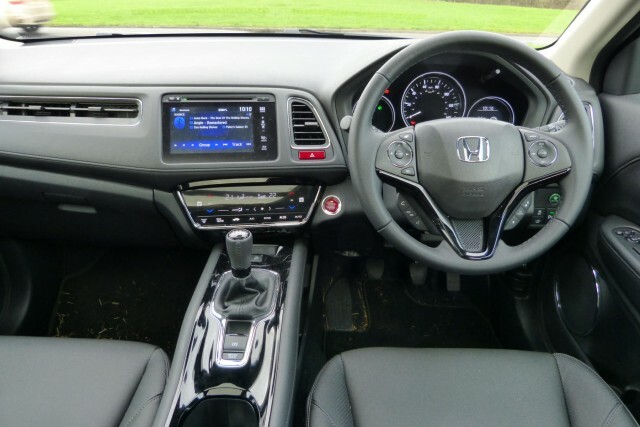 We’d opt for the well-equipped SE and spend £100 on a portable sat nav, rather than forking out a hefty £510 for Honda’s built-in nav. Honda Jazz: Should I buy one? Fans of the old Honda Jazz (and there are many) will find much to love in this practical package. And if reliability matches the two previous models, it should be utterly painless to live with. Is that enough? It depends what your priorities are. If you crave driving enjoyment, the Fiesta remain the obvious choice. Equally, the Skoda Fabia offers a better all-round blend of quality and refinement. However, the Jazz is still the most sensible supermini you can buy. The Jazz is Honda’s bestselling car worldwide. The original (above) was launched in 2001 and immediately won the Car Of The Year award in Japan, where it’s known as the Honda Fit. A stretched version of the car, called the Fit Shuttle, was also sold in Japan. 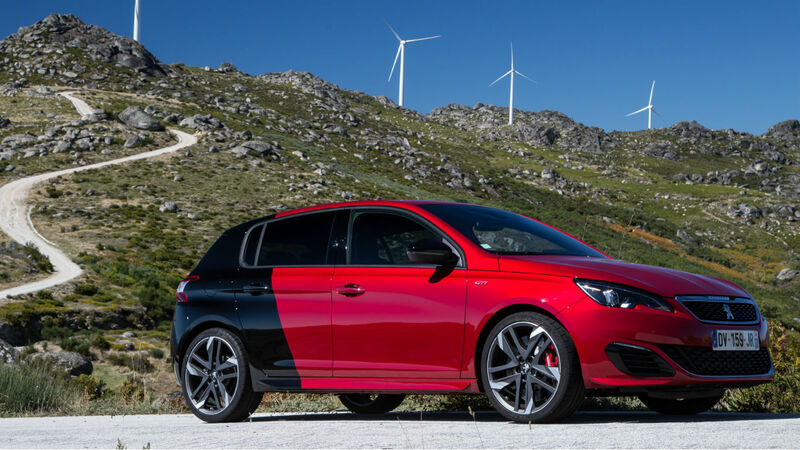 Peugeot 308 GTI: What is it? We first saw the 308 GTI at Goodwood Festival of Speed in June. Now we’ve finally driven it on UK roads – and on-track at Donington Park – ahead of the on-sale date of 5 November. 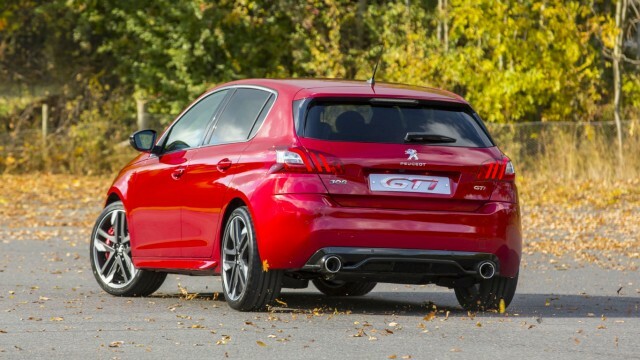 Peugeot’s hottest hatch might look subtle, but it packs a 250hp punch – or 270hp in full-fat Peugeot Sport guise. Prices start from £26,555. 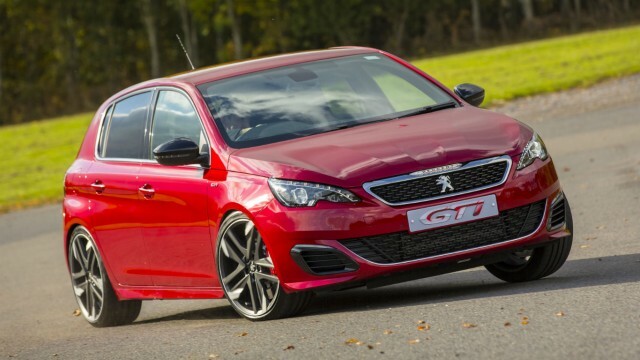 Peugeot 308 GTI: What are its rivals? Fast family cars are back in fashion and the 308 has no shortage of capable rivals. First in the firing line is the Volkswagen Golf GTI, the hot hatch benchmark for nearly four decades. The Ford Focus ST and SEAT Leon Cupra are worthy alternatives, too – both cheaper and arguably more fun to drive than the Golf. And the Honda Civic Type R is our (literal) wild card. 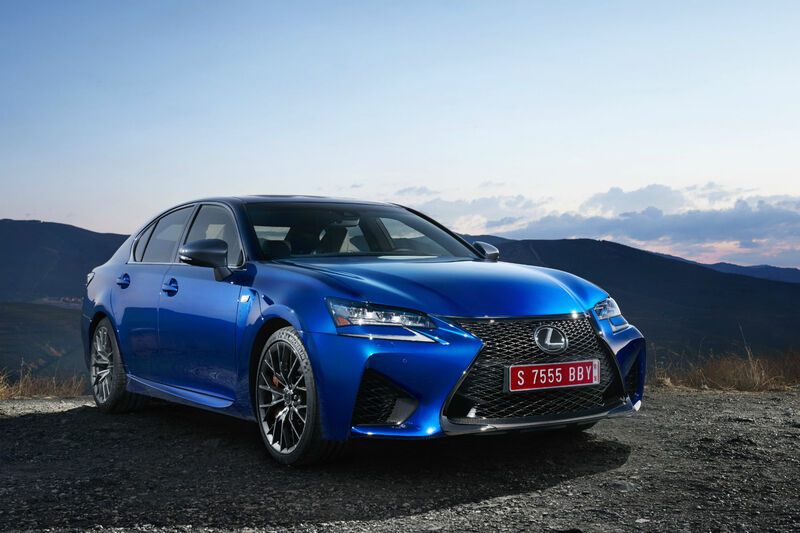 It offers furious performance speed, but at a price. 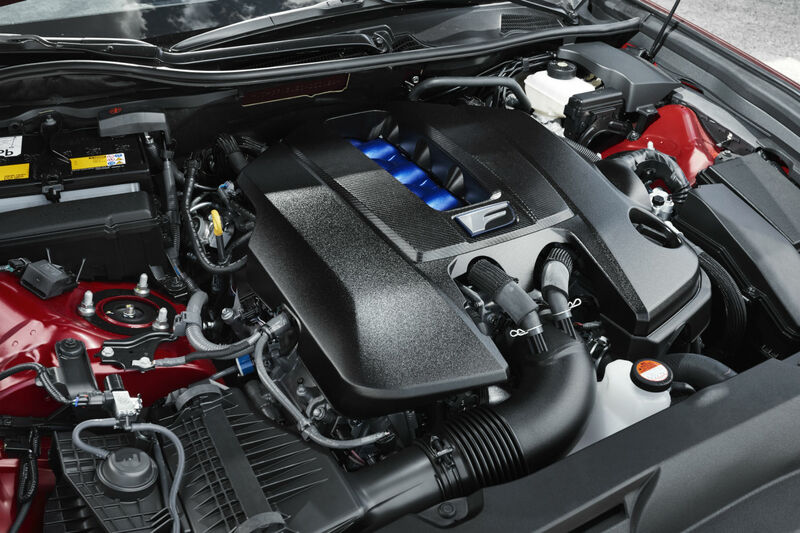 Peugeot 308 GTI: Which engines does it use? Powered by the same 1.6-litre THP petrol engine as the RCZ-R coupe, the 308 GTI produces 250hp, or 270hp in the clumsily-named ‘GTI by Peugeot Sport’. 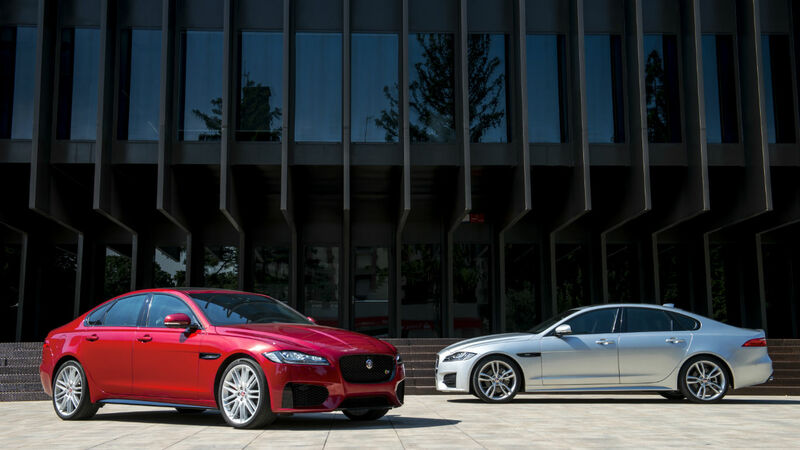 Both drive through a six-speed manual gearbox (there’s no auto option), hitting 62mph from rest in 6.2 seconds, or 6.0 seconds for the Sport. Top speed for both is a heady 155mph. Peugeot 308 GTI: What’s it like to drive? On twisty Peak District lanes, the 308 GTI was grunty, grippy and properly quick. Its turbocharged engine provides ample low-down torque, while lower, stiffer suspension means good body control when cornering. Shame the overly-light steering offers leaves you feeling slightly detached from the whole experience. Moving to Donington Park Circuit, the difference between standard and Peugeot Sport GTIs became more apparent. The Sport has a Torsen front differential that quells understeer (running wide) and really hauls it around bends. It might offer performance on par with old-school Subaru WRXs and Mitsubishi Evos, but the Peugeot should prove considerably cheaper to run. Average fuel economy for both versions is quoted as 47.1mpg, with CO2 emissions of 139g/km (£130 annual car tax). Anecdotally, Peugeot dealers are usually open to offering discounts when you buy, too. Peugeot 308 GTI: Is it practical? In a word, yes. The 308 is a five-door, five-seat hatchback with a roomy 501-litre boot. A Ford Focus, by comparison, holds just 316 litres. On the minus side, space in the rear seat isn’t especially generous. And your passengers may start to complain about the rib-shaking ride – the price you pay for sporty suspension. 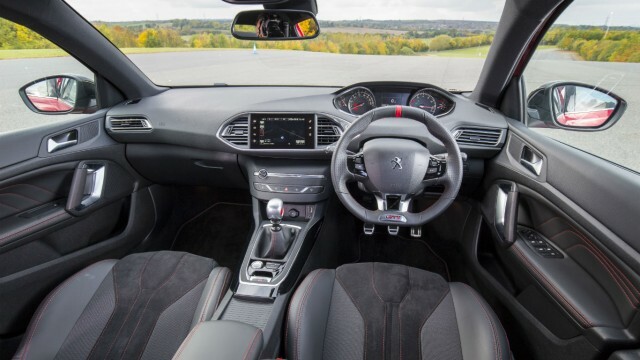 Peugeot 308 GTI: What about safety? If you can restrain your right foot (easier said than done), the 308 is a safe car. It scored a maximum five stars in Euro NCAP crash tests and standard equipment includes super-bright LED headlights, front/rear parking sensors and a reversing camera. The beefed-up Alcon brakes on Peugeot Sport versions also deserve a mention – they scrub off speed with impressive effectiveness. Peugeot 308 GTI: Which version should I go for? We think the Peugeot Sport version is worth the £1,600 premium over the regular GTI. For that, you get larger 19in alloy wheels, sports seats, bigger brakes and the Torsen differential. Admittedly, you won’t notice much difference between the two cars in typical road driving, but residual (resale) values for the Sport are likely to be better, too. We’ll leave the two-tone ‘Coupe Franche’ paint option seen below up to you. At £1,300, it’s an acquired taste. 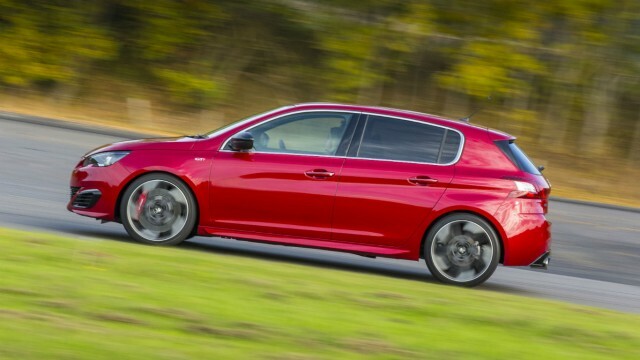 Peugeot 308 GTI: Should I buy one? The 308 is a worthy addition to this competitive class, but its blend of subtle styling and serious speed still wouldn’t dissuade us from buying a SEAT Leon Cupra or VW Golf GTI. We suspect it would be a satisfying car to live with, but – judged as a hot hatch – the potent Peugeot is a little too sensible for its own good. One Peugeot that certainly isn’t sensible is the 308 R Hybrid – a 500hp petrol/electric hot hatch that sprints to 62mph in 4.0 seconds, yet emits just 70g/km CO2. Sadly, the R Hybrid remains a concept for now, but Peugeot boss Maxime Picat has hinted that a production version is possible. Like the original Audi TT or MINI, the Range Rover Evoque was an ‘It car’ – a must-have four-wheeled fashion accessory. A long waiting list followed its launch in 2011, and more than 450,000 have since found homes. In fact, one in three Land Rovers sold worldwide is an Evoque. However, fashion is fickle and, four years later, the car is due a mid-life facelift. At first, you will struggle to spot the differences, but that’s probably a good thing. It still looks radical – like a concept car with number plates. Plus, having modelled the rest of its Range Rover line-up on the Evoque, Land Rover wasn’t likely to sanction a radical redesign. 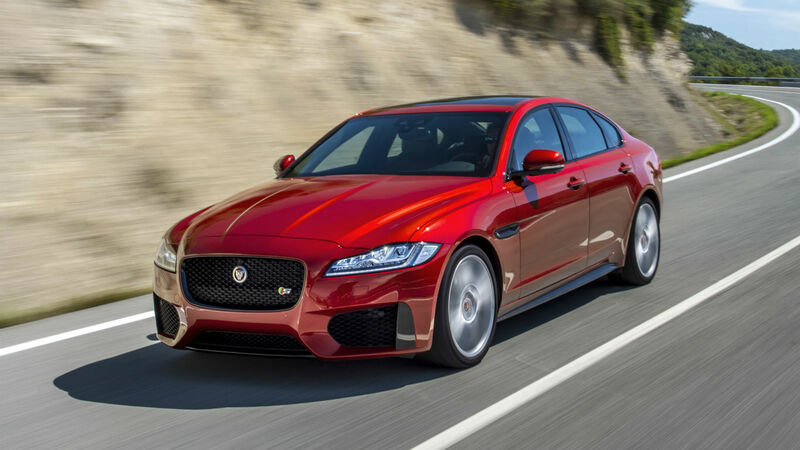 So there’s a new front bumper with larger air intakes, all-LED adaptive headlights, a restyled grille, sparklier taillights and five new alloy wheel designs. Inside, you’ll find redesigned seats, upgraded materials and a new touchscreen media system. The big news, though, is under the bonnet – specifically the new 150hp or 180hp 2.0-litre Ingenium diesel engine. It transforms the Evoque into the most efficient Land Rover ever made. In 150hp two-wheel-drive guise with a manual gearbox, it returns 68mpg and CO2 emissions of 109g/km – impressive figures for a car of this type. The Evoque is also offered with a 240hp petrol engine (not available to drive on the launch), plus six-speed manual or nine-speed automatic gearboxes. Buyers can opt for two-wheel drive, four-wheel drive or Active Driveline, which switches between the two depending on road conditions. Trim levels start at SE, then rise through SE Tech, HSE Dynamic and Autobiography. 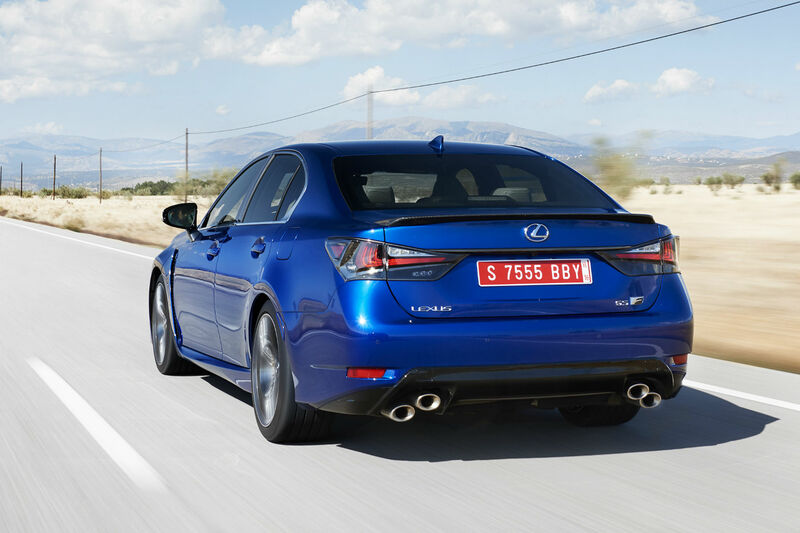 Standard equipment on all models now includes automatic emergency braking and lane-departure warning. The range starts at £30,200 for the eD4 150 SE. The 180hp diesel and Si4 petrol cost from £32,800 and £43,000 respectively. 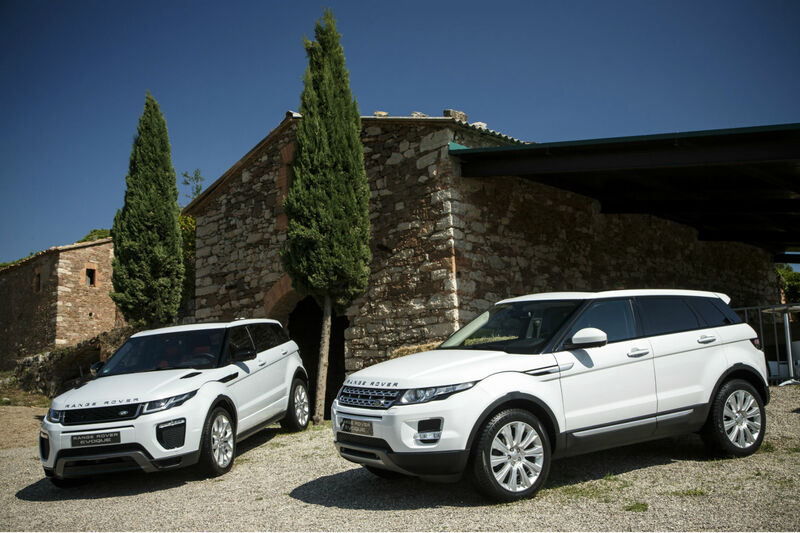 Five-door and three-door ‘Coupe’ versions of the Evoque are identically priced, giving you a straight choice between function and fashion. 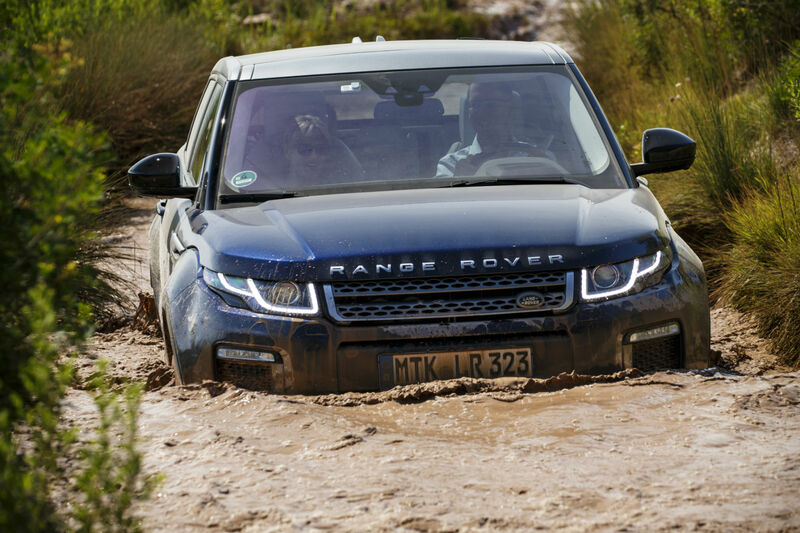 No Land Rover launch would be complete without some hill-climbin’, mud-squelchin’, river-fordin’ off-roading. But let’s start with how the car copes on Tarmac – undoubtedly where 99% of Evoques will spend 99% of their time. It’s a cliche to describe SUVs as being ‘car-like’ to drive, but the Evoque genuinely is. High driving position aside, it feels like a sporty hatchback, with eager steering and little body-roll when cornering. On tortuously twisty Spanish mountain roads, it was fast, confidence-inspiring and fun. If anything, the Evoque’s steering is a little too sensitive for motorway driving; the regular corrections needed at speed make longer journeys feel tiring. We’d welcome a bit more feedback through the chunky three-spoke wheel, too. 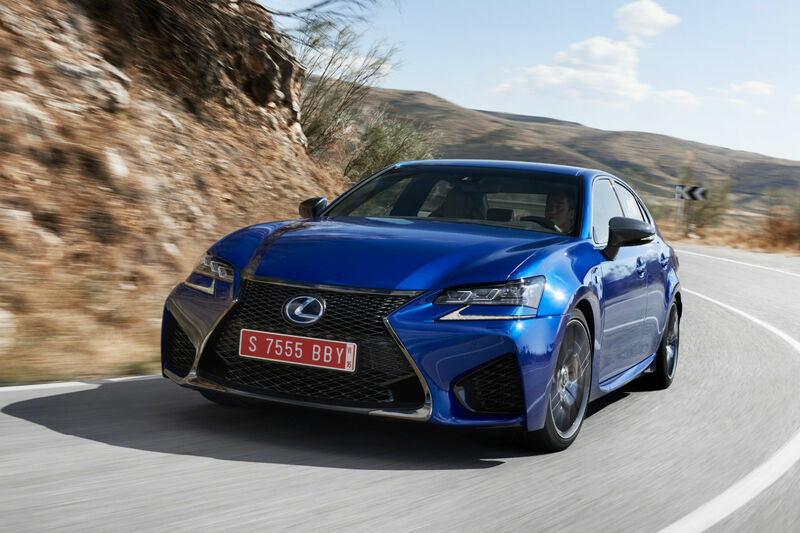 However, ride comfort is good – certainly better than some German rivals – and wind noise is well-suppressed, despite the car’s bluff-fronted shape. The new Ingenium diesel is also commendably hushed. Even under full acceleration, the noise from the lightweight aluminium engine is more petrol purr than commercial clatter. 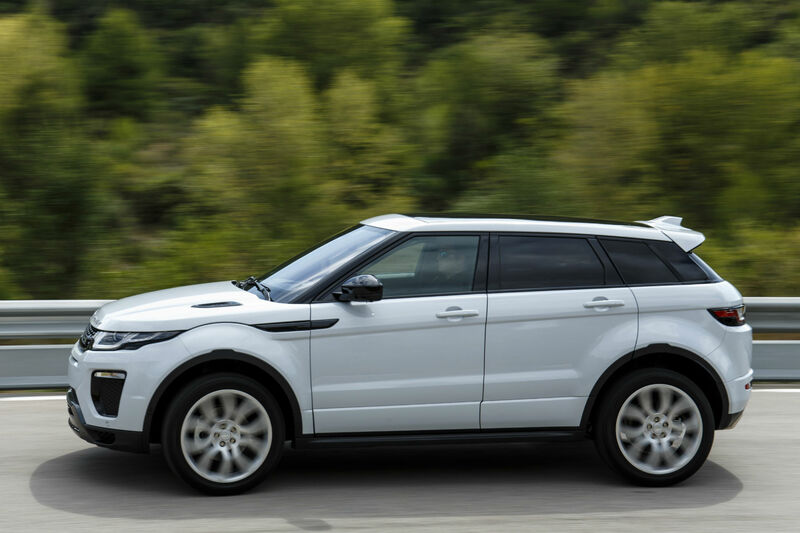 The 150hp unit powers the Evoque to 62mph in 11.2 seconds, while the 180hp version shaves that to 10.0 seconds. However, that additional 30hp makes little perceptible difference on the road; both offer ample mid-range torque for swift, safe overtaking. 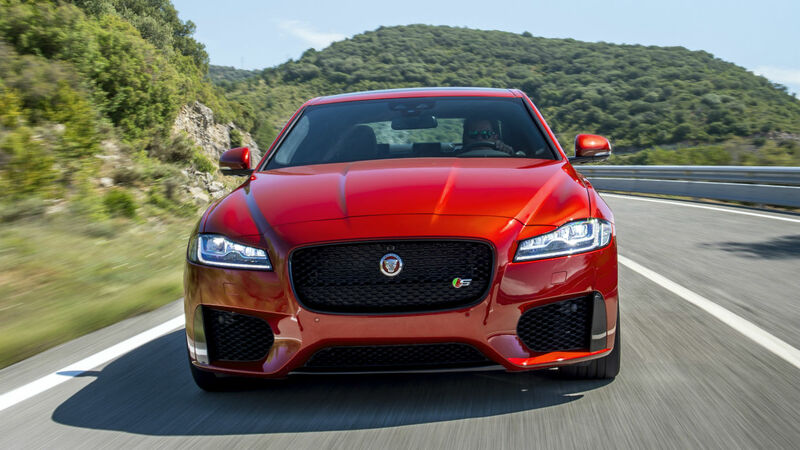 The standard six-speed manual gearbox has a short throw and feels pleasingly mechanical. But we’d fork out £1,800 for the smooth-shifting nine-speed automatic, which also comes into its own for off-road driving. Ah yes, the rough stuff. You may scoff, but the Evoque’s ability to bump over boulders and slither down sand dunes is arguably more relevant than a sports car being able to exceed 150mph. At least if the apocalypse strikes, you’ll have an escape plan. We tried both front- and four-wheel-drive models at the Les Comes Land Rover Experience centre near Barcelona. Steep gravel switchbacks, deep muddy ruts and a particularly scary bamboo bridge provoked moderate sweating and occasional swearing from driver and passenger. 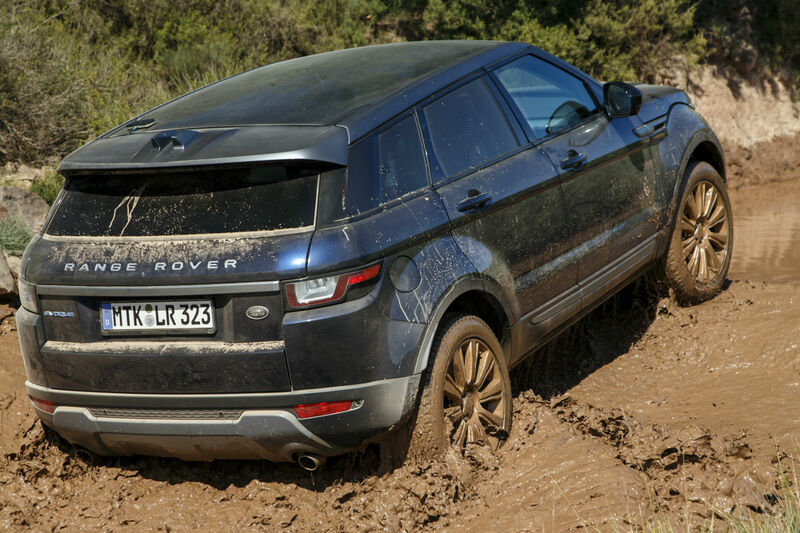 Yet the Evoque handled them with ease. 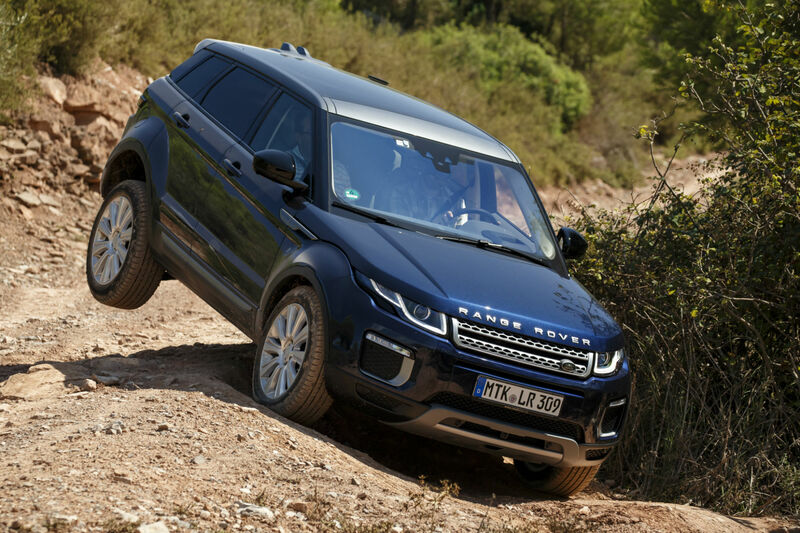 In the unlikely event you do want to take your Evoque off-road, the automatic gearbox offers All-Terrain Progress Control – essentially a low-speed cruise control for slow and steady progress over tough terrain. With the system activated, the Evoque feels almost unstoppable; it hauls itself up hills and over obstacles with studied nonchalance. 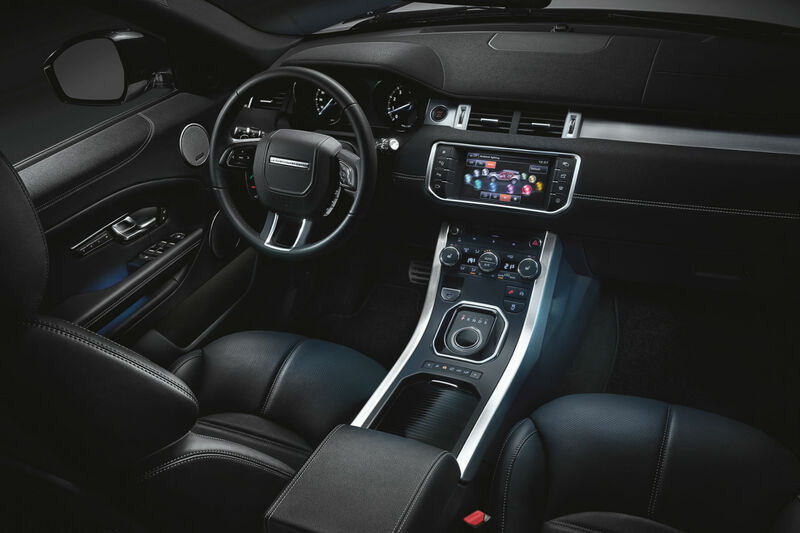 Interior space has never been the Evoque’s strong point – thank those bulbous wheelarches and that stylishly sloping roofline. 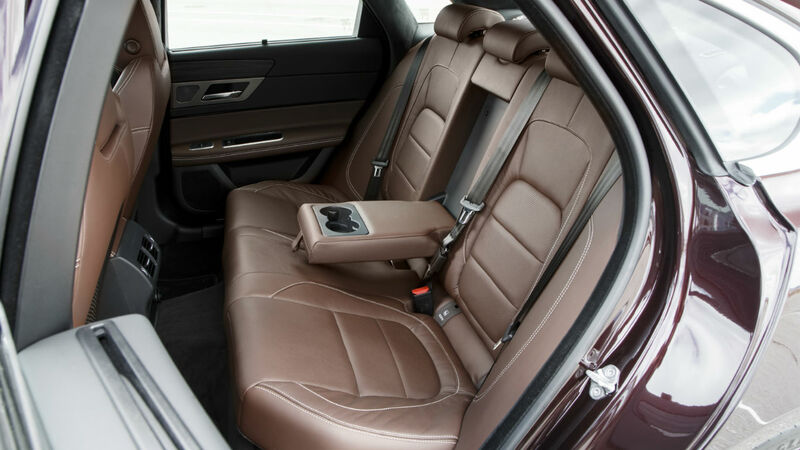 It’s acceptably roomy in the front, but the rear bench is best suited to children or teenagers. So its ideal for young families then? Not really. The 575-litre boot can swallow a weekly shop, but you’d struggle to squeeze in a large baby buggy. If you need space for kids/dogs/bikes/flat-pack furniture (delete as appropriate), Land Rover’s own Discovery Sport is an eminently more sensible choice – plus it has the option of seven seats. The new InControl Touch media system is certainly a step forward. However, confusing sat nav graphics led to an unscheduled detour through Barcelona’s not-very-scenic industrial estates. 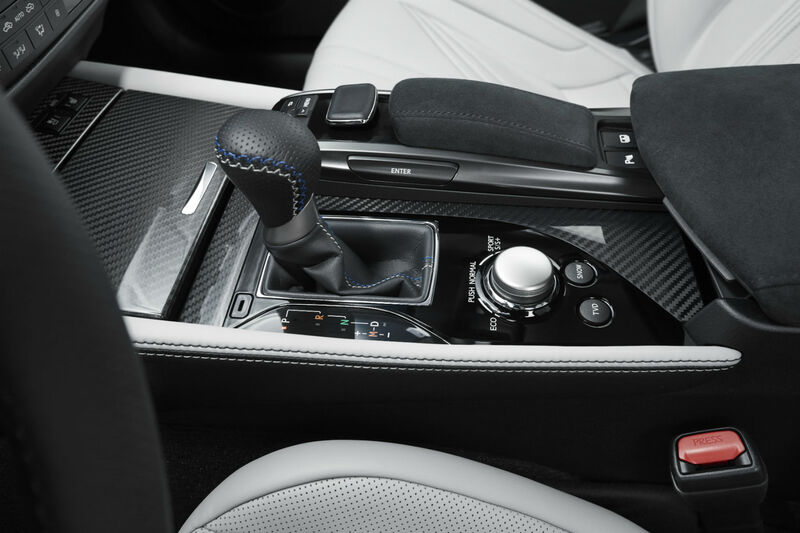 We’d also prefer a separate joystick or clickwheel controller – as offered by Audi, BMW and Mercedes – rather than merely a touchscreen; they are simpler and safer to use while driving. 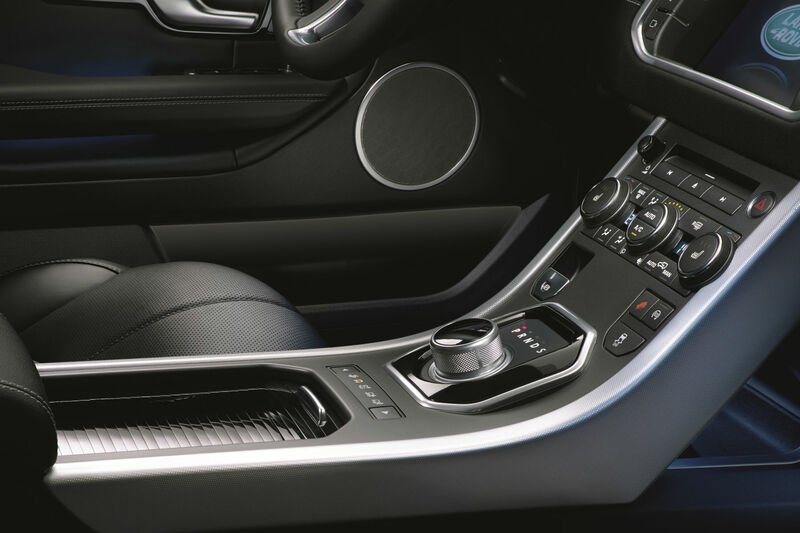 Standard equipment on the entry-level Evoque SE includes heated front seats with electric adjustment, cruise control, DAB radio and automatic headlights/wipers. Stepping up to SE Tech adds sat nav, xenon headlamps and a heated windscreen, while HSE Dynamic comes with a sporty bodykit, rear-view camera and premium sound system. 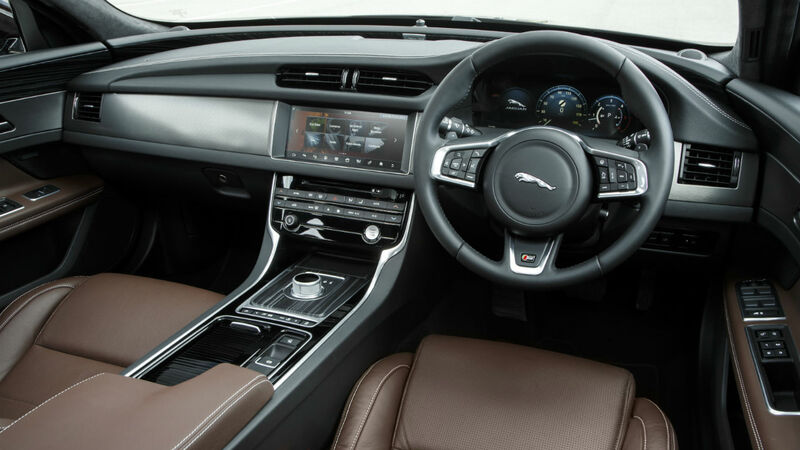 The all-bells-and-whistles Autobiography has a full Oxford leather interior with heated rear seats and in-car wi-fi. Land Rover is proud of its new diesel engines, and rightly so. The most efficient 150hp two-wheel-drive models are now dubbed ‘E-Capability’ and wear a blue (rather than red) Evoque badge on the tailgate. Land Rover claims 68mpg for the Coupe in E-Capability guise – better than the most economical Audi Q3 or BMW X1. CO2 emissions of just 109g/km equate to annual car tax (VED) of £20. 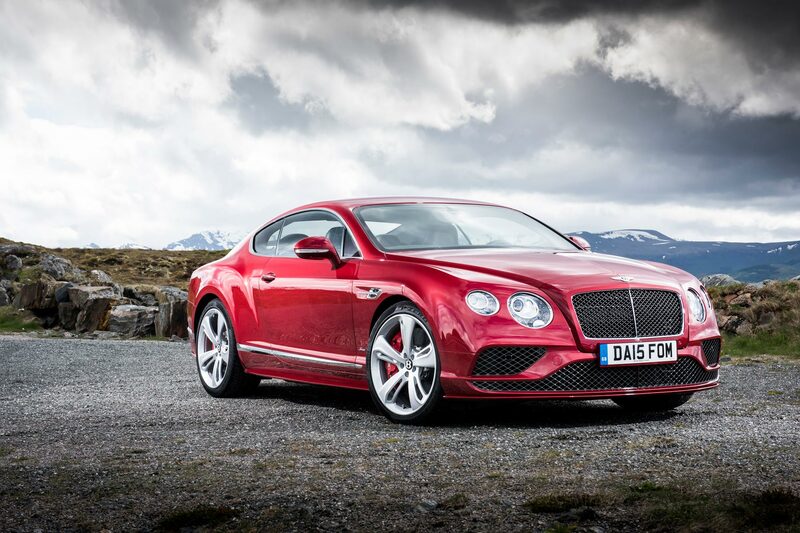 Comparative figures for the five-door version are 65.7mpg, 113g/km and £30. This 16% improvement in efficiency versus the outgoing car is particularly good news for company car drivers. It translates into Benefit-In-Kind tax savings of 3%. Extended service intervals – stretched from 16,000 to 21,000 miles – drive down those all-important running costs, too. However, don’t book that Caribbean cruise just yet; there is a caveat to all this money-saving merriment. List prices for the Evoque have jumped significantly, so the range now starts at £30,200 – an increase of around £1,000. A mid-range 2.0 TD4 180 SE Tech auto will set you back £36,600, around £1,900 more than the old 2.2 SD4 Pure Tech Pack auto. Has Land Rover done enough to keep its ‘It car’ fresh and fashionable? 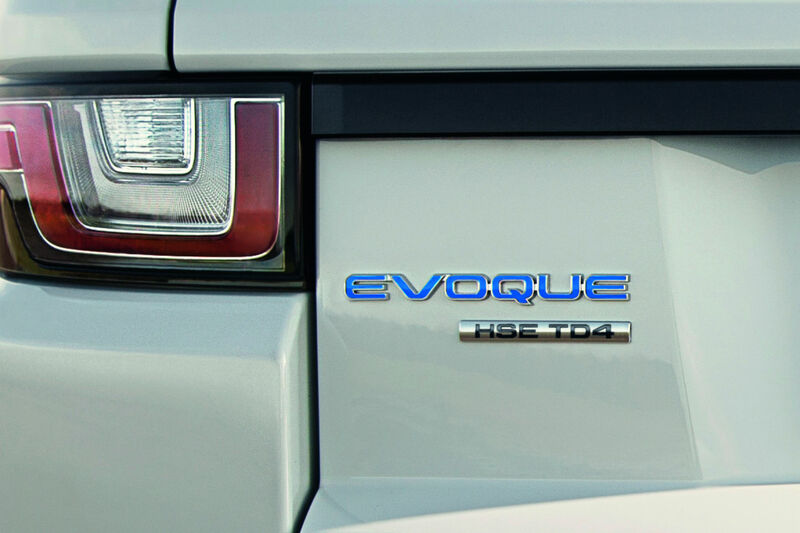 Well, we can’t predict the whims of fashion, but there’s little doubt the 2015 Evoque is a significant step forward. 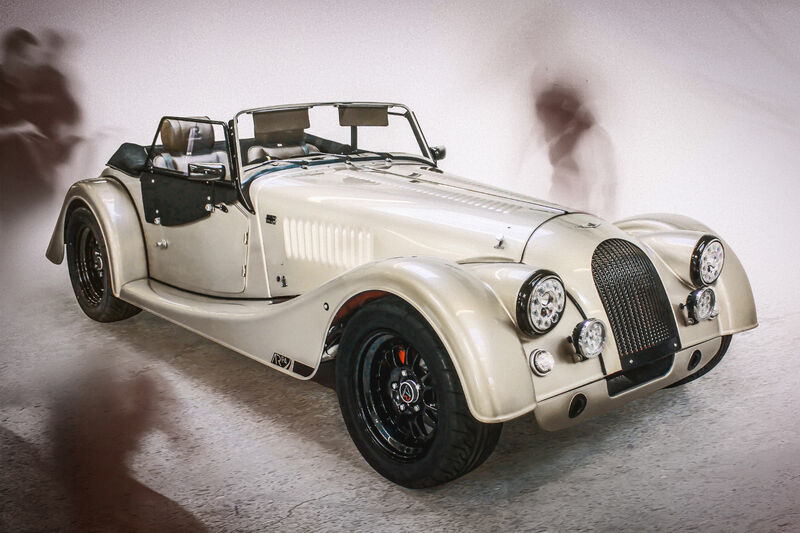 Finally, this British success story has the modern diesel engine it always deserved. In terms of the new Ingenium unit, we have no complaints. It’s smooth, responsive and efficient. And (money-saving tip!) the 150hp version is plenty quick enough for most needs. Unfortunately for the Evoque, Land Rover has now put the same engine into the Discovery Sport, which looks pretty similar, costs about the same and is vastly more practical. The Evoque remains a sportier and more satisfying drive, but if we had upwards of £30k to spend on a new SUV, we’d opt for the more sensible Discovery Sport. New 2015 Vauxhall Astra – better than a Focus? 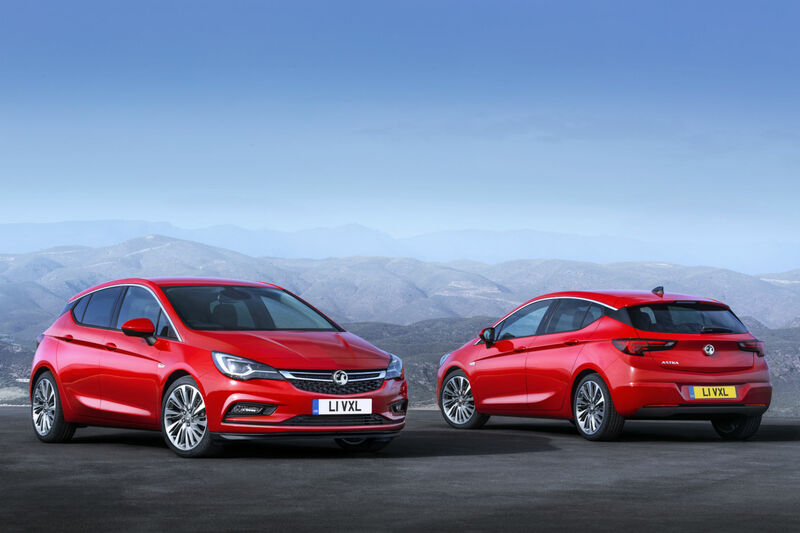 The Vauxhall Astra has traditionally taken second place to the Ford Focus – both in terms of desirability and sales. Indeed, the last time Vauxhall outsold its arch-rival was in 2011. However, that could be about to change. The new 2015 Astra is here and, although we haven’t driven it yet, the signs are it could be a Focus-beater. Before we reveal the six key ways in which Vauxhall has improved the Astra, let’s start with something more superficial: the styling. The car looks sporty, with hawkish headlights, scalloped sides and a rising beltline. 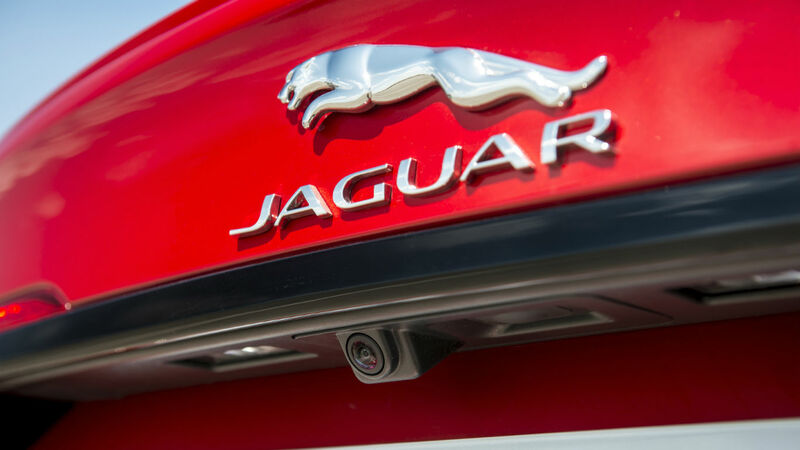 LED daytime running lights add a premium touch, while the blacked-out C-pillar – an idea borrowed from the Range Rover and Jaguar XJ – gives the impression of a separate, ‘floating’ roof. 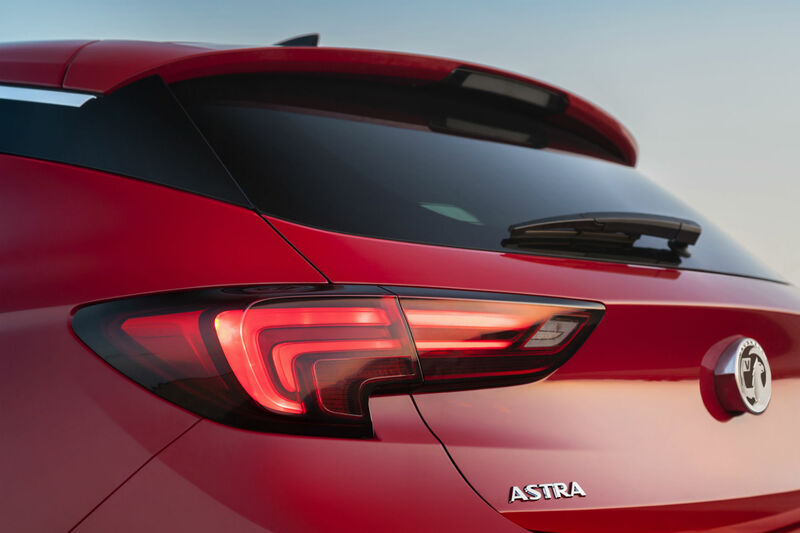 The Astra has been around since 1979 and is now into its seventh generation. During that time, more than 2.9 million of us have bought an Astra – and countless others have owned one second-hand. By contrast, the Ford Focus has only been on sale since 1998. Better still, the Astra is built in Britain. And the factory at Ellesmere Port in Cheshire will also assemble the forthcoming Sport Tourer – the estate version of the Astra, due in early 2016. 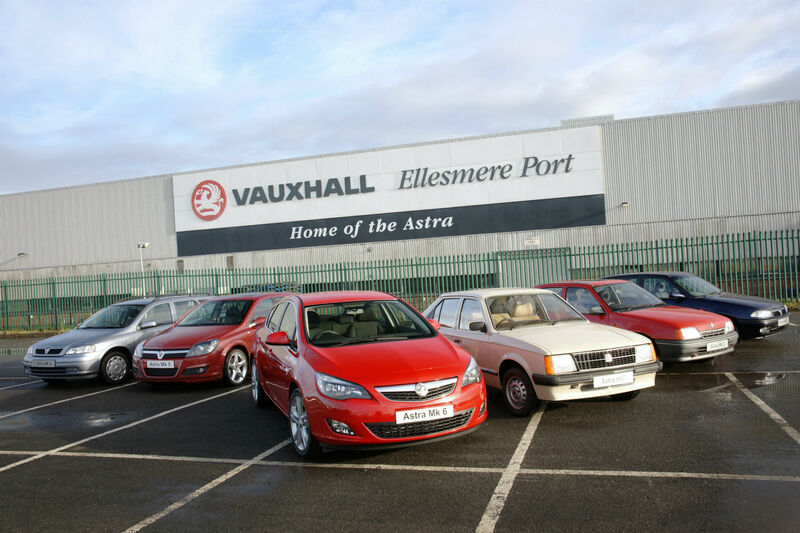 Vauxhall is aiming to sell 60,000 new Astras next year, compared to around 44,000 in 2014. Smaller, but bigger. Yes, Vauxhall has enacted some Tardis-style trickery on the new Astra, which has shrunk in size yet become roomier inside. 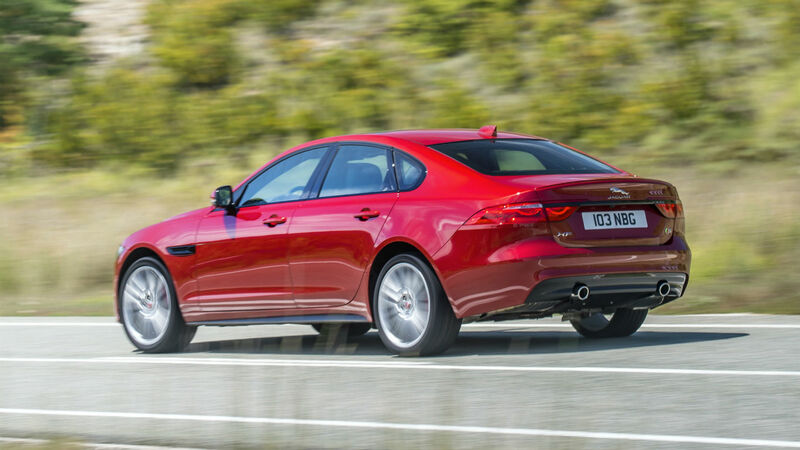 The key is better packaging, allowing a 34mm increase in rear legroom despite a 49mm decrease in overall length. 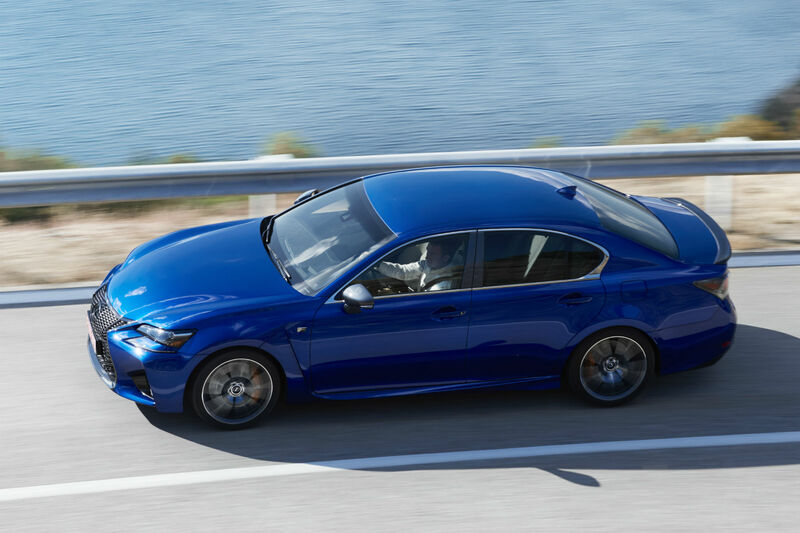 The car is lower than the model it replaces, too – helping give it a sporty appearance. Perhaps most importantly, the Astra is significantly lighter than before. 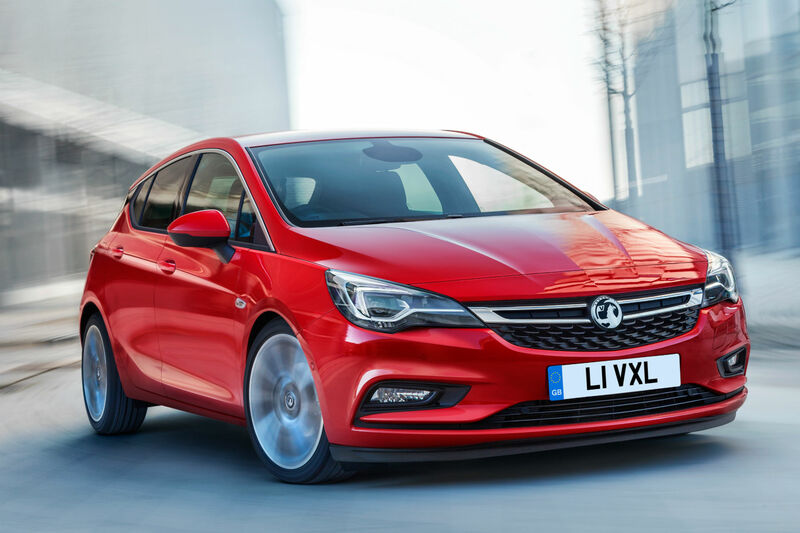 Vauxhall has saved an average 130kg across the range, with some models weighing 200kg less. More compact engines, smaller tyres and increased use of high-strength steel are some of ways in which weight has been cut. 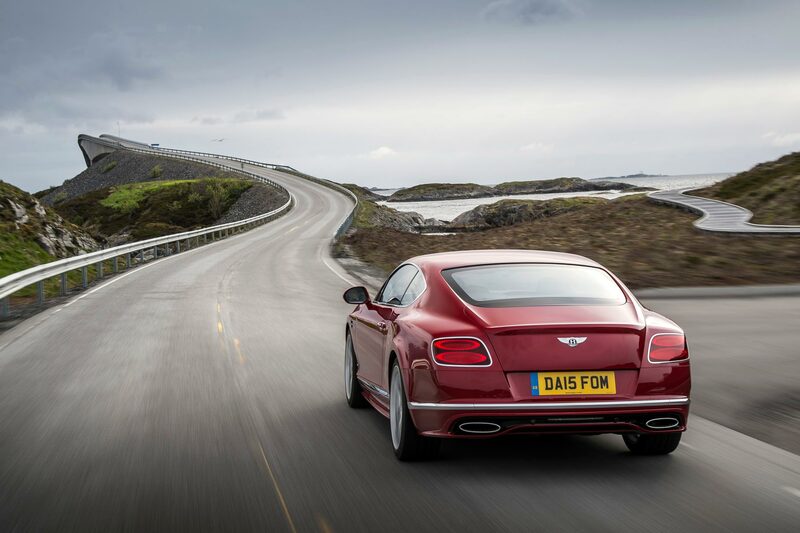 That in turn leads to better fuel-efficiency and – hopefully – more agile handling. We’ve already been impressed with Vauxhall’s 1.0-litre turbocharged petrol engine in the latest Corsa. Smooth and very refined, it’s now available in the Astra for the first time, giving Vauxhall an answer to Ford’s much-hyped 1.0 Ecoboost engine. CO2 emissions for the 1.0T petrol start from just 96g/km if you opt for the Easytronic auto gearbox – low enough for free annual car tax (VED). There are also 1.4 and 1.6 petrol engines, but the big seller is likely to be the 1.6 CDTi ‘Whisper’ diesel. Available in 110hp, 136hp and 160hp outputs, it produces CO2 from just 82g/km and 91.1mpg. That’s great news for company car drivers. Interestingly, Vauxhall isn’t marketing this car as a stand-alone ‘eco’ model, like the Focus Econetic. It’s part of the main Astra range. 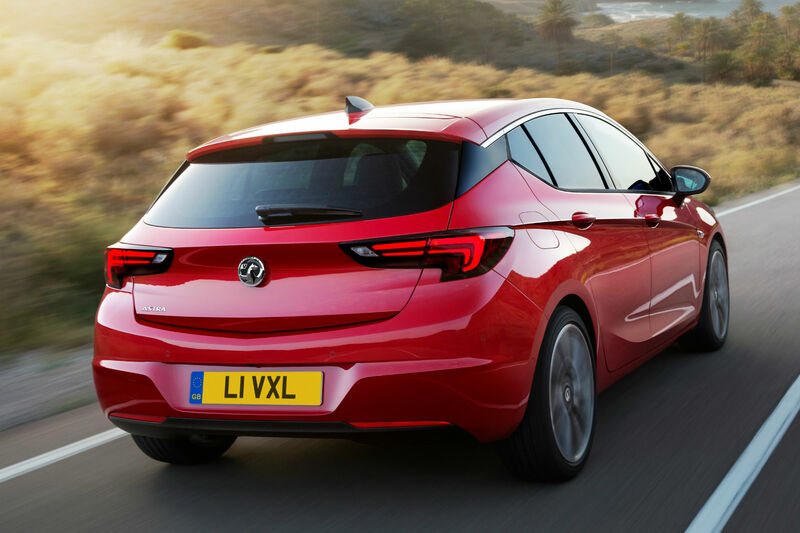 Buying an Astra could be confusing, but Vauxhall has simplified the line-up to four trim levels: Design, Tech Line, SRi and Elite. The latter two are available with sat nav, badged SRi Nav and Elite Nav respectively. The old SE, Tech Line GT and Bi-Turbo specifications have been discontinued. 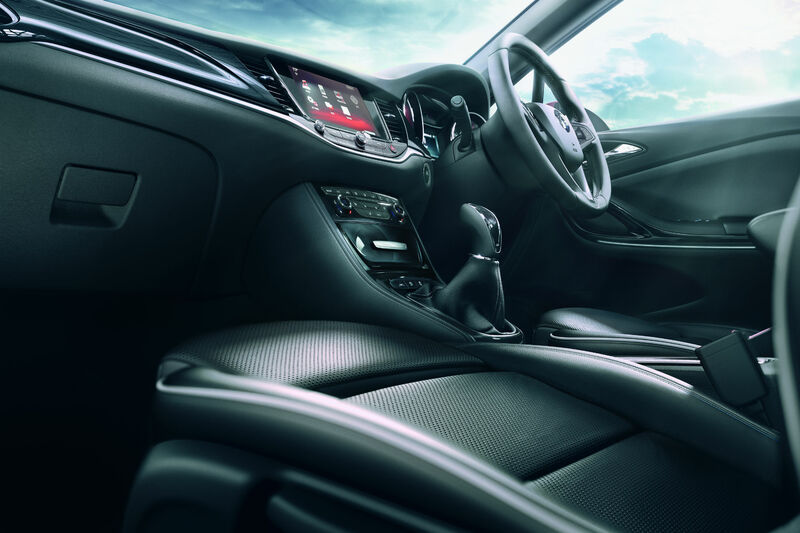 Standard equipment on all models includes a colour touchscreen media system, Bluetooth phone connectivity, digital radio, air conditioning, cruise control, automatic headlights and alloy wheels. Interesting options include LED headlights, a hands-free parking system and a ventilated massage seat for the driver. Automatic emergency braking is standard on SRi and Elite. All Astras come with an Intellilink 7in touchscreen media system, with six speakers, digital radio and steering wheel controls. Opt for sat nav and you’ll get a larger 8in screen and voice recognition. Intellilink is compatible with Apple Car Play and Android Auto, so you can wirelessly connect your smartphone and access apps via the touchscreen. SRi and Elite models also have Vauxhall’s On Star connected services package. 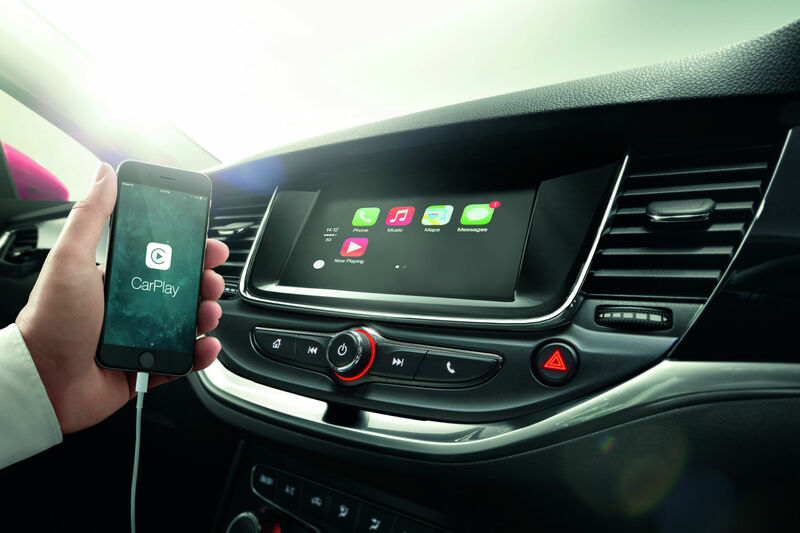 This turns the car into a 4G wi-fi hotspot, allowing you to connect up to seven devices for browsing the internet. On Star also calls the emergency services if the airbags are deployed – plus it can measure oil life to tell you when the car’s next service is due. The proof of the pudding will, of course, be in the driving, but it seems that the 2015 Astra has been improved in almost every area. Will that make it good enough to beat the Focus? We’re not sure, as Ford’s family favourite is a capable all-rounder and one of the best mid-size hatchbacks on sale. However, one way in which Vauxhall does topple Ford is on price. On sale from today, the Astra range starts at £15,295 – £150 less than the outgoing car. The 1.0T petrol is available from £15,995 and the 1.6 CDTi diesel costs from £17,495. Some models are up to £2,200 cheaper, like-for-like, than before. And prices undercut the Focus, too – by more than £2,000 in some cases. Sounds pretty compelling, doesn’t it? We’ll know for sure after we drive the Astra in September.